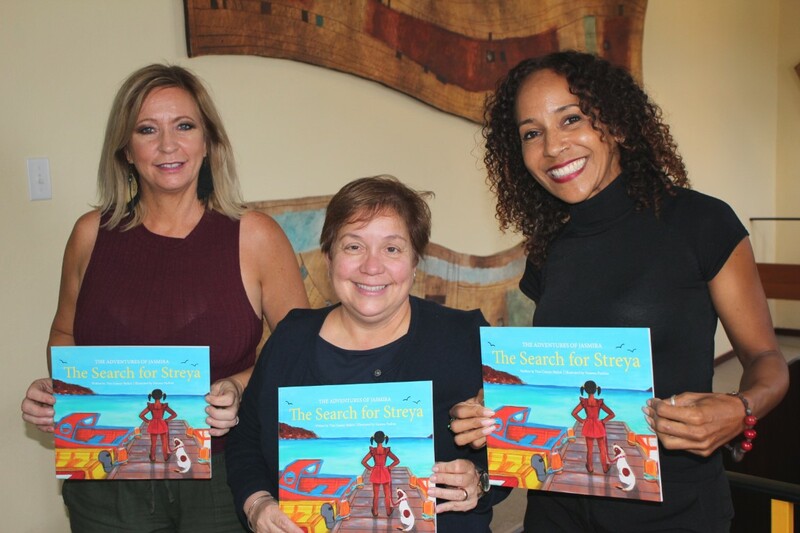 We are very happy with this new Children’s book by award winning writer and Blogger Mrs. Tina Causey-Bislick ‘The search for Streya’. This colorful book is illustrated by visual artist and fashion designer, Vanessa Paulina. We went through the publication by Tina and Vanessa and were very impressed. Such a beautiful and rich children’s book by both a professional writer and illustrator. 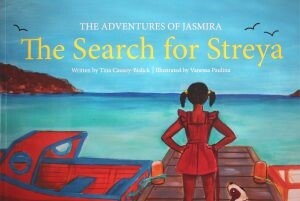 This is just a wonderful production and a welcome addition to the collection of Caribbean children books. 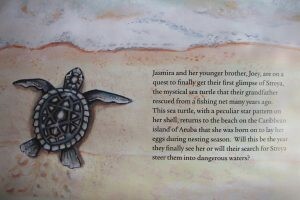 This story is about Jasmira, an eight year old and her brother, Joey, in search of a special sea turtle named Streya. When things get really scary Opa and Chico are there to help out. The book will soon be available for the young library members to read and is also for sale at local bookstores. This is Mrs. Tina Causey-Bislick first Children’s book but Jasmira will most probably have more adventures and we are looking forward to more ‘adventures’. Vanessa Paulina has illustrated children’s books before and is a contributor to the annual Children’s books Festival of the library. For children who would like to do a presentation at school about Sea turtles we have this information, also see the page on Facebook of TurtugAruba.